The Rochester Garden Club is a Branch of the Woman’s National Farm and Garden Association (WNF&GA). We are a Michigan non-profit 501(c)3 service corporation. We are active in the community through educational, environmental and gardening activities. 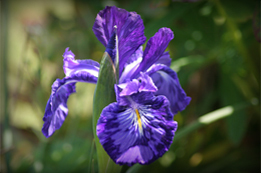 Be sure to “Like” us on Facebook (Rochester Garden Club) and “share” with your friends. 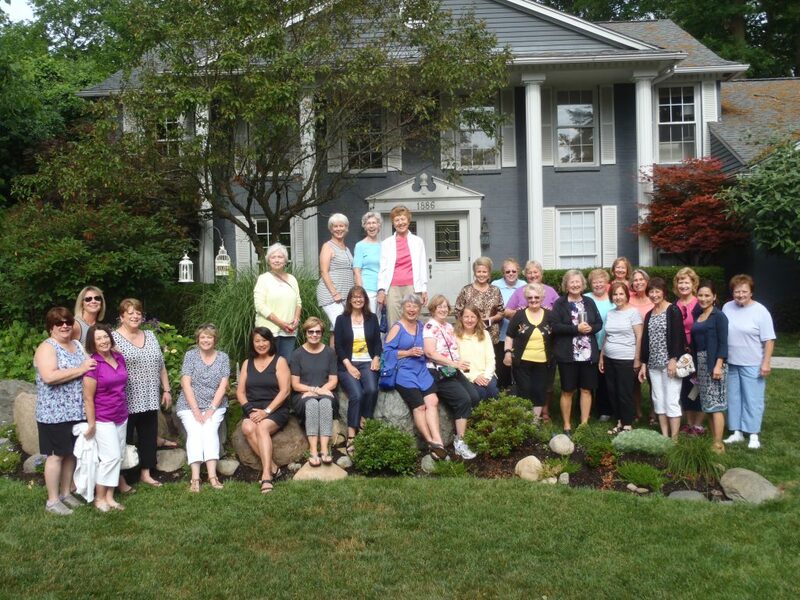 The Rochester Garden Club currently has approximately 125 members and welcomes Prospective Members at monthly meetings and activities. We meet the second Tuesday of the month from September through June (except December, May and July) at the Rochester Community House, 816 Ludlow. “Meet and greet” continental breakfast social time starts at 9:30 a.m. The business meeting begins at 10:00 am and is followed by a program that begins at about 11:15. We have a Summer Meeting in August that is for fun and education. Check our Calendar for time and location of meetings and other activities. The purpose of this Branch is to stimulate interest in environmental stewardship, horticulture, and agriculture through education and programs, and to contribute to the beauty of our community. 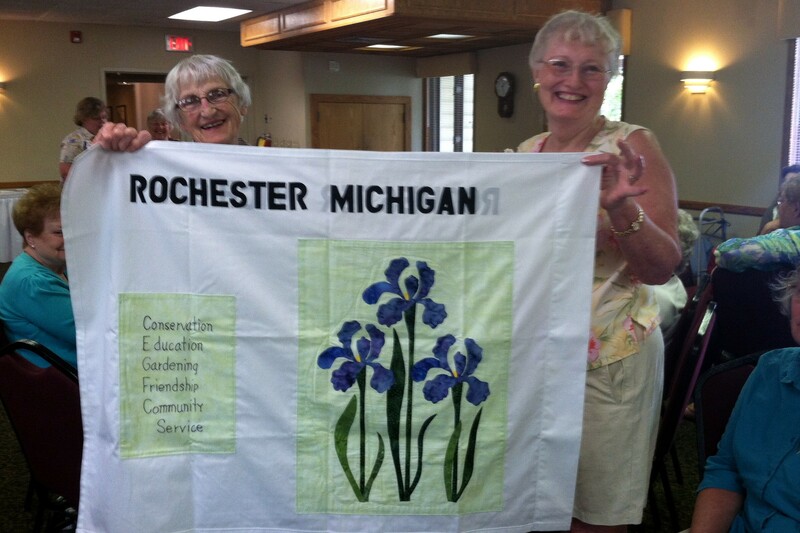 The flag was made by Joan Gunning and Meredith Scharf for the May 2014 National Meeting. The Rochester Garden Club conducts the Gifts & Greens Market, held annually since 1946, on Thursday evening, Friday and Saturday during the week following Thanksgiving. All Greens Market profits are returned to the community through Projects and Financial Gifts. The Club also co-hosts an annual Garden Tour with the Rochester Hills Museum at Van Hoosen Farm, held the third Thursday in June. We are active in the community with beautification, Rochester Schools programs, and educational events for the public. Having fun together is a big part of our activities that include workshops, field trips, and special events. Throughout the year most meetings include an interesting program and many committees provide educational and fun activities for all members to enjoy.